10th-12th May 2019, Warwick University. OUPS have been running revision weekends to help students with their exams for over 40 years, so we know from experience exactly what students want and need in order to give them the knowledge and skills, as well as the confidence, to improve their exam grades. The weekend will be of benefit to all students taking these courses. A weekend of lectures which aim to aid revision and exam technique and improve students' chances of increasing their final grade. This revision weekend offers a full programme of nine talks, running from Friday evening (registration from 3pm; dinner at 6pm; evening lecture 8pm) until Sunday tea time (3.30pm). As well as covering revision of course materials and key issues and themes, the sessions also give advice on revision techniques and how to tackle the exam, as well as providing a comprehensive set of handouts to support your own revision. In addition it is a chance to meet up with other students studying your course. We have a team of four tutors, as feedback from past students has underlined the value of having several different tutors, giving you the benefit of a range of specialised knowledge and advice and offering you a range of complementary styles of tutoring to keep you focused. Tutors on the weekend are all highly experienced and can give you a variety of specialised knowledge and advice. The OUPS DE200 Revision Weekend offers you extensive coverage of everything you need to prepare you for your exam, revising key course material and advising on study skills such as revision planning and exam techniques, including how to approach exam questions. It will also help you to see how the course fits together and how some of the chapters link together, allowing you to construct informed and intelligent answers to the exam questions. The sessions should give you the confidence and the motivation to take on your own revision and go into the exam room well prepared. Many students have said that attending the weekend has improved their exam grade. Extensive handouts will be given on each of these lectures. These handouts are exclusive to students attending the weekend. We have an excellent team of experienced and motivated tutors on this course. Professor Frederick Toates author of the chapter on Brain Behaviour and Mood will be talking about the biological perspective on psychology. He has over 35 years experience of teaching and tutoring. An author on DE100 as well as many OU other courses, including SDK125, DSE212 and SD228, his book Biological Psychology (3rd edition, Pearson Education, Harlow) forms a popular and recommended text in a number of universities throughout the world. He has also had a book on B.F. Skinner published. Fred has taught undergraduate classes not only in the UK but also in Moldova, Romania, France, Germany, Denmark, Sweden and the USA. Many of you will know Professor Toates from his involvement in the student forums, where he provides very helpful and timely explanations in response to students' queries. Dr Alan Pechey is currently tutoring DE200, has tutored for over 20 years on OU child development and cognitive psychology courses and is a popular tutor at residential Schools and OUPS Weekends. He has assisted in some course writing and has been an OU exam marker. He has an MA (in cognitive development) and a PhD (looking at human memory) from Cambridge University. Aside from his OU teaching, he worked for many years as a consultant in Organisational Psychology; advising organisations (e.g. Barclaycard, Scotland Yard, local government) on how to adapt to new technology; how to change work practices and how to present information more effectively. Alan is a very engaging speaker, with a passion for psychology and students find his extensive knowledge and enthusiasm highly motivating. Professor Graham Edgar has been a tutor with the OU for many years and is a regular contributor to OUPS weekends. He was an author of the Perception & Attention chapter in DSE212. He is also Reader in Psychology at the University of Gloucester where he works in the general area of cognitive psychology, with particular interests in the areas of perception and situation awareness (SA). Current research includes studies of driver behaviour and the development of techniques for measuring SA, including measuring brain activity using electroencephalography (EEG). Dr Monika McNeill is a lecturer in Psychology with nearly 20 years of experience; currently based at Glasgow Caledonian University, where she works on research in face identification in forensic environment. She is also a popular lecturer in Cognitive and Developmental Psychology and contributes to a number of other disciplines, e.g. Forensic Psychology, Physiology of Behaviour, Counselling Psychology. Monika also works as an Associate Lecturer at the Open University and over the last 10 years she has taught core modules at levels 1, 2 and 3, specialising mainly in Cognitive Psychology, including DE200 and DE100. You can also meet her delivering revision talks at the OUPS Weekends. Before returning to Academia, Monika worked for a number of years with young adults and children with high functioning autism (Asperger Syndrome). "An excellent weekend - well organised, well worth the money, time and effort"
"Excellent! Enthusiastic lecturers who deepened my understanding of the course and helped me to focus on the exam." "Very good, interesting, engaging, made me realise I knew more than I thought I did! Would definitely attend a revision weekend for future course. It has set me up to start revising with more confidence." "I was impressed with the quality of the teaching, with how each lecturer knew their subject in such depth yet could keep it simple". "Really helpful. Good overview of chapters and approaches to take. Very supportive lecturers, able to convey a good balance re hard work and fun and importantly their enthusiasm for their topics." "It has given me a motivation and confidence boost, I can't think of any improvements." "Fantastic . So happy I did it!" "Excellent as always. I wouldn't consider sitting an exam without gong on the OUPS revision weekend." "Sadly this will be my last Warwick Revision Weekend as I graduate this year. Over the last 3 years I have found them to be indispensable and credit them with helping me achieve great grades. Thank you. I will miss being part of it." "Facing my first exam in 30 years is a daunting prospect. I can readily admit that I need as much help as possible, not just in understanding the course content, but also for confidence in my ability as a budding psychologist, to hold a conversation about psychology, amongst my peers. Scrolling through social media psychology pages I came across the OUPS DE200 Revision weekend information, and skeptically clicked the link. After reading some previous reviews and the information about the event, I decided to go for it, it turned out to be one of the best decision I have made since starting my psychology journey. The OUPS DE200 revision weekend gave me one of the best experiences I could have ever hoped for. I have arrived home, feeling empowered, with a whole new understanding of what I have been learning. I have met some fantastic people from all over the world, made friends for life, had amazing food, and a really fun disco all within an absolutely lovely venue. This conference was so well organized, I knew where and when to be and at what time." "The lecturers were incredibly prepared, and spoke with such passion and enthusiasm that I am now confident in tackling this exam. Over and above delivering such inspiring material, they were approachable and fascinating to speak to. I am and I will forever be grateful for everyone involved in organizing and executing this event, and I cannot wait for the next one!! So for anyone out there that is contemplating attending one of these amazing events, just do it, seriously, they make it so easy at every stage from registration to payment to attendance. I cannot possibly recommend it highly enough, seriously. You will not regret it! " The weekend takes place at Radcliffe Conference and Training Centre, University of Warwick. Both accommodation and lectures are located in the same building unless you have been informed otherwise. Click here for information on accessibility, parking and other related facilities. 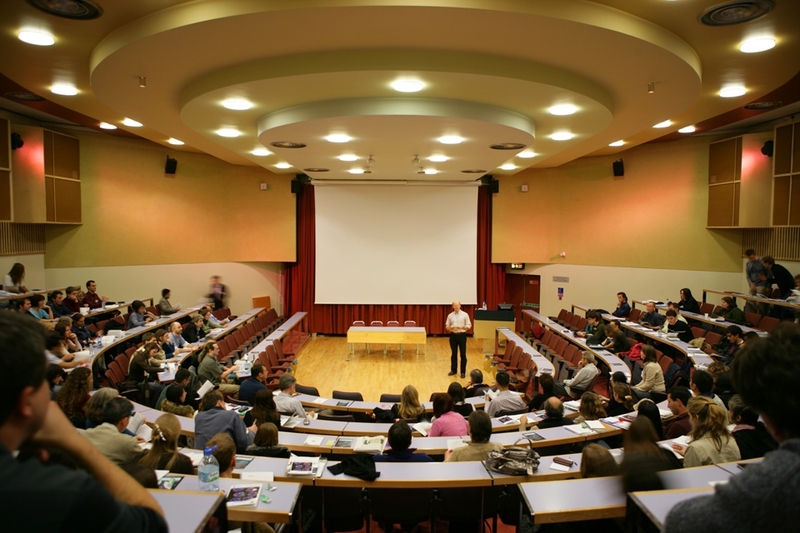 The lectures are conducted in management conference seminar rooms within the University campus, and you will be provided with a timetable of talks and lecture notes on arrival. You can choose how you spend your time. If you book the residential package then you will have a very comfortable ensuite room in management conference facilities complete with bedding, towels, a hairdryer, coffee-making facilities and desk. Wifi is also included. The training centre has a small exercise room within the building and you also have complimentary access to the gym and pool on campus, so if you do want to relax then there is the option to do so. The cost is inclusive of all meals, including Friday night and Saturday night dinner. There are no extra costs involved (except for drinks at the bar!). As well as your room and all meals this includes refreshments at break times, extensive handouts which are only available to attendees, revision of key course material, advice on revision techniques and taking the exam, welcome drink on Friday night. Non residential places are available for a reduction, all meals are still included. The welcome drinks and psychology book stall are both excellent places to meet other students. All students and staff wear name badges, so it is easy to find somebody to help if you have any questions. You can enjoy your meals with a group of students in the comfortable dining room. The food is fresh, healthy buffet style catering, and there is something to entice everyone.